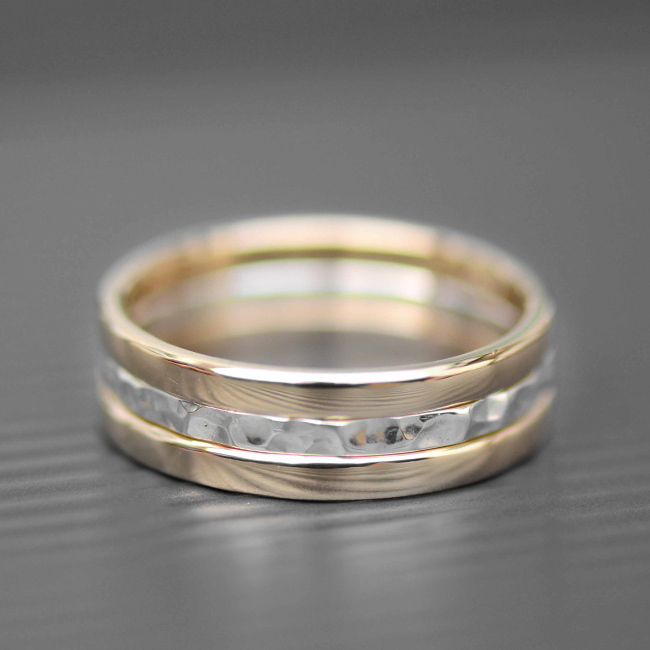 These stunning silver and gold wedding rings are handmade using sterling silver and 9ct yellow gold. Two of the rings have a highly polished finish, the silver ring has a hammered texture which sits perfectly between the two gold rings. SKU: N/A. Availability: In stock Size: 45 × 60 cm Shipping Weight: 0.3 kg Categories: All Jewellery, Rings, Ring, For Woman, For Men, Wedding, Wedding Jewellery, Wedding Rings. Tags: bespoke, bespoke silver, commission, gold wedding rings, handmade, handmade silver, jewellery designer, jewellery maker., LWSilver, organic, ring, silver wedding ring, wedding rings. 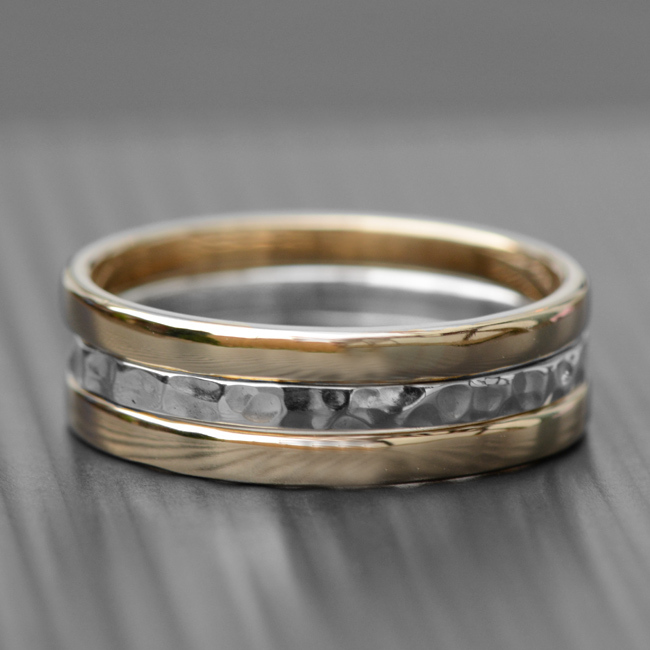 These stunning gold and silver wedding rings are handmade using sterling silver and 9ct yellow gold. 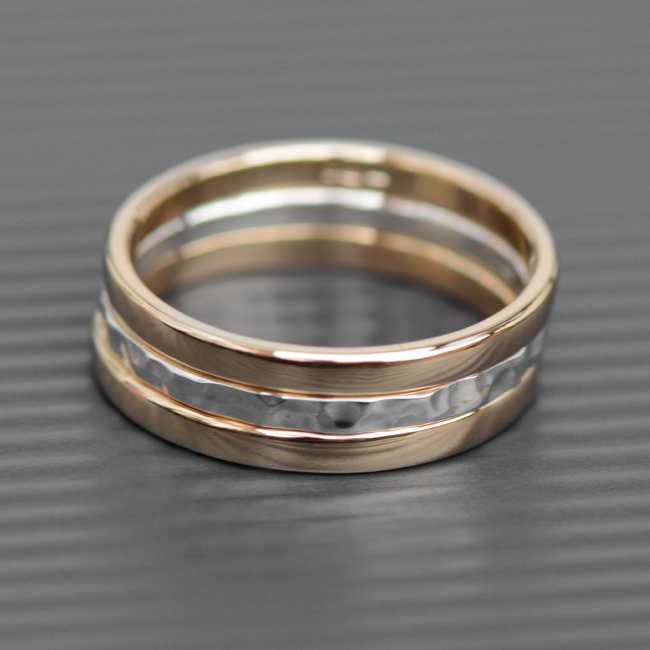 Two of the rings have a highly polished finish, the silver ring has a hammered texture which sits perfectly between the two gold rings.